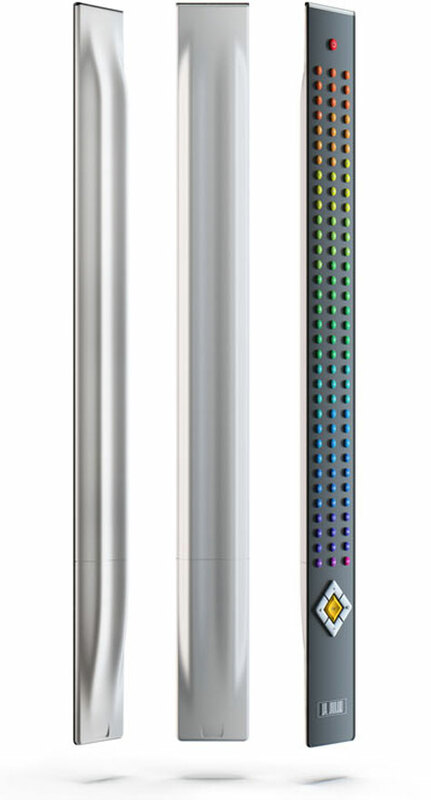 Pultius remote is half a meter (almost 20 inches) long. Pultius controls 399 channels with three range selection buttons. Pultius is loaded with two AAA-sized batteries just like the good old double-barrel gun. Stupidest concept I ever saw. Why bother with batteries? - just use it as a stick to poke the controls on the front fascia of the TV.